We had a wonderful homeschooling session tonight. My daughter had trouble with her multiplication today. She did all her problems incorrectly and her father made her redo them all. That’s a first. He normally saves it all for me to address. My daughter is notorious for rushing through her work, just to be done. She got busted quickly this time. I decided to do another multiplication lesson. This time, I wanted her to do the work independently, but while I was home to monitor her work. I changed how she was to work through the problems and that seemed to do the trick. Something “clicked’ because she was able to get all 26 problems correct. We moved onto Language Arts and covered “possession”. My daughter then asked to act out verbs. While this may seem like a silly game, it helps reinforce action words. If she correlates acting out the verb, then she is more apt to remember when she has grammar homework and sentence writing. We took a few moment to do some reading about Chip ‘n’ Dale. I love those little chipmunks! I’m not the biggest Disney fan out there, but I try to get some reading in every night, if possible. Lastly, I had my daughter go and get her Child’s First Bible. The looked at the title and said, “Mom! This book shows possession.”, as she pointed to the word “child’s”. I couldn’t help but smile a bit as tonight’s lesson seeped into another aspect of her learning and she welcomed it with open arms. 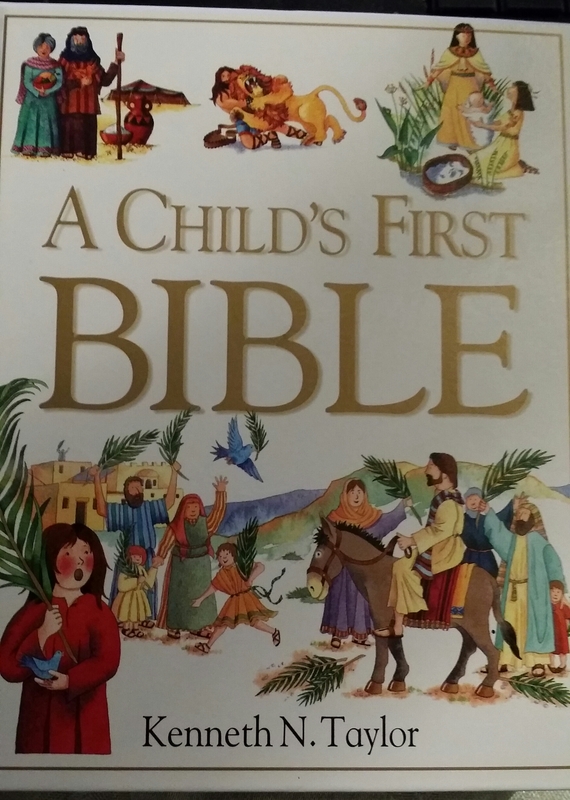 While this children’s Bible is a bit simplistic, I can give the necessary background information. It asks questions on what was just discussed, so the child can interact with the story. We covered everything I wanted to get done. These are the fun days of homeschooling. I beam with pride at seeing her absorb the knowledge from her lessons. It’s a simple reward that I continually cherish.